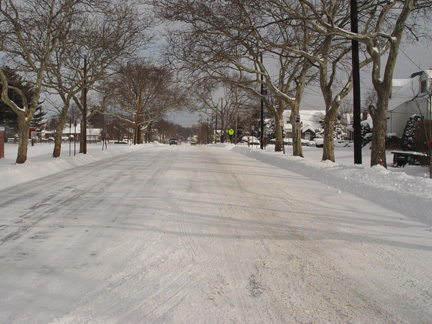 DPW Does A Great Job ... Again! 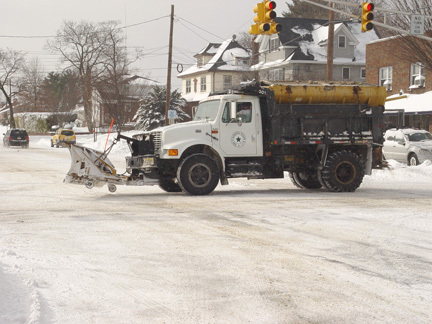 As the alert for the first blizzard of the season, the Department of Public Works was prepared with all plows and salt spreaders loaded by noon on Saturday, January 22, 2005. That evening the pre-planning -- plow -- salt and snow removal -- went into action. 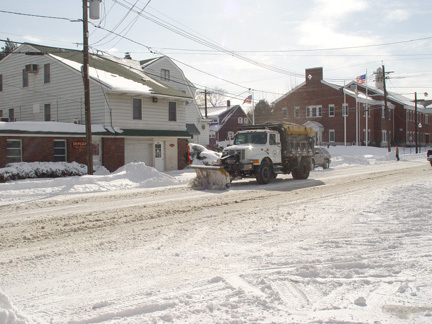 The town was set up into four sections: two-truck teams with plows and spreaders covering the north, central and south sections. The roads on the hill from Terrace to Rt. 17 were handled by front end loaders. Smaller "mason's style" dump trucks took care of boro property, cul de sacs and dead end streets. 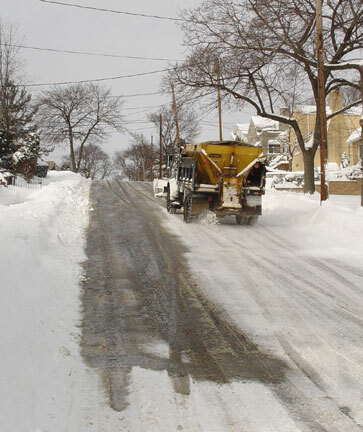 On Sunday morning after the snow was plowed, salt was then applied to the roads as needed. 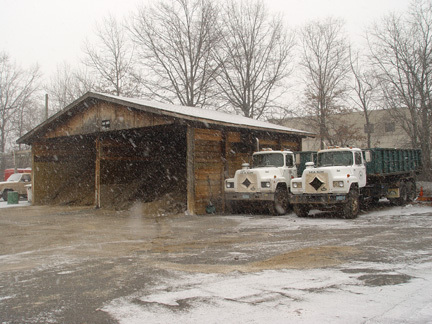 The DPW yard just as the snow began to fall Saturday afternoon with (top) the plows and spreaders on standby and (botttom) plenty of road salt ready in the shed. 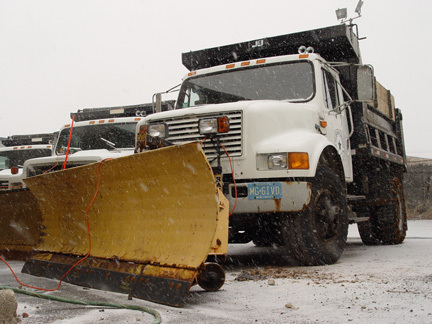 Trucks to the right are used for snow removal. 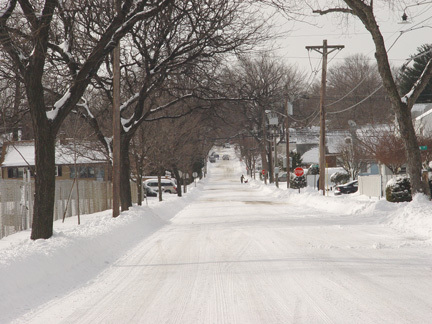 The Boulevard in front of the High School looking towards Williams Avenue on Sunday Morning. 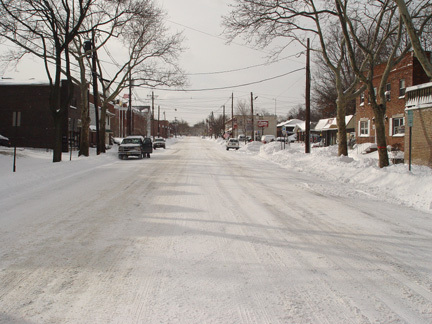 The Boulevard at La Salle Avenue looking towards Kipp Avenue on Sunday Morning. Oak Grove behind Hitchcock Field looking south towards Kipp Avenue on Sunday Morning. Plowing the Boulevard in front of Boro Hall.